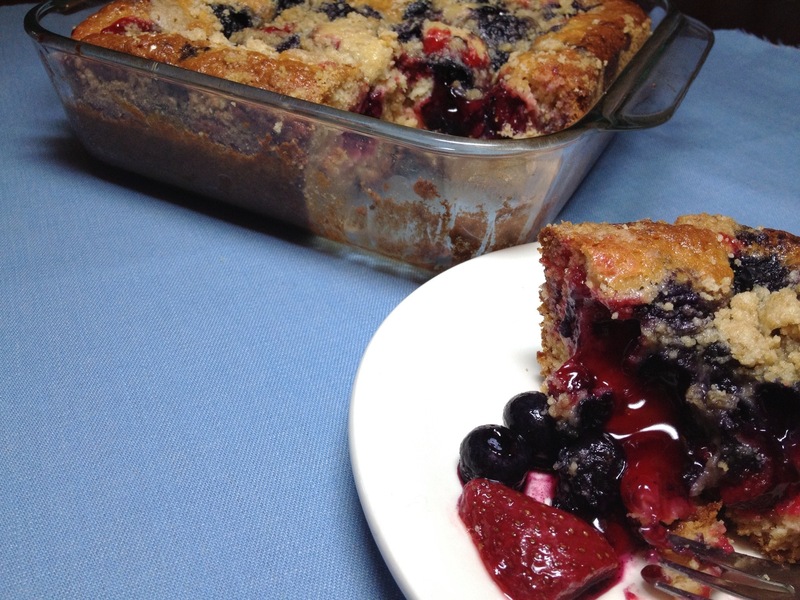 Serve up this recipe for Berry Cheesecake Amish Friendship Bread at your next potluck and get ready for rave reviews. For a bigger strawberry flavor punch, try making a homemade strawberry sauce using real strawberries. 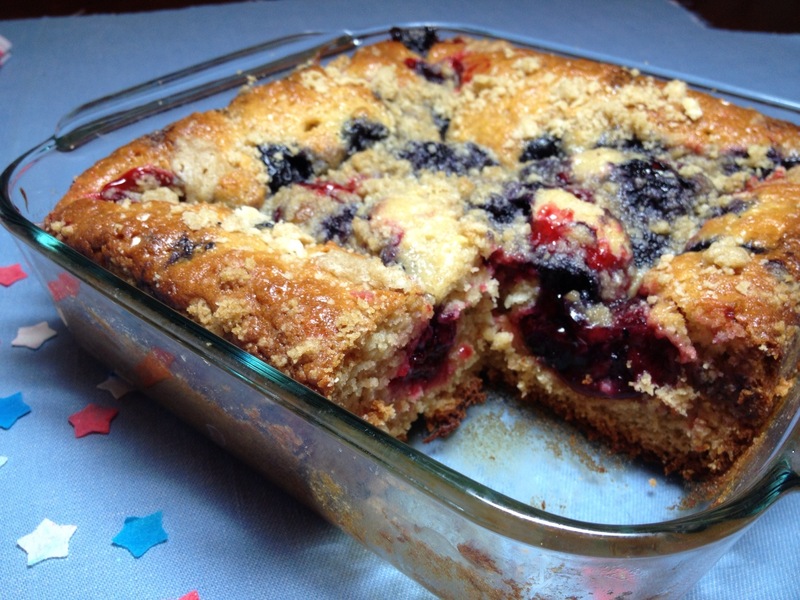 Serve up this recipe for Berry Cheesecake Amish Friendship Bread at your next potluck and get ready for rave reviews. Spray cooking spray on two 8" x 8" pans. 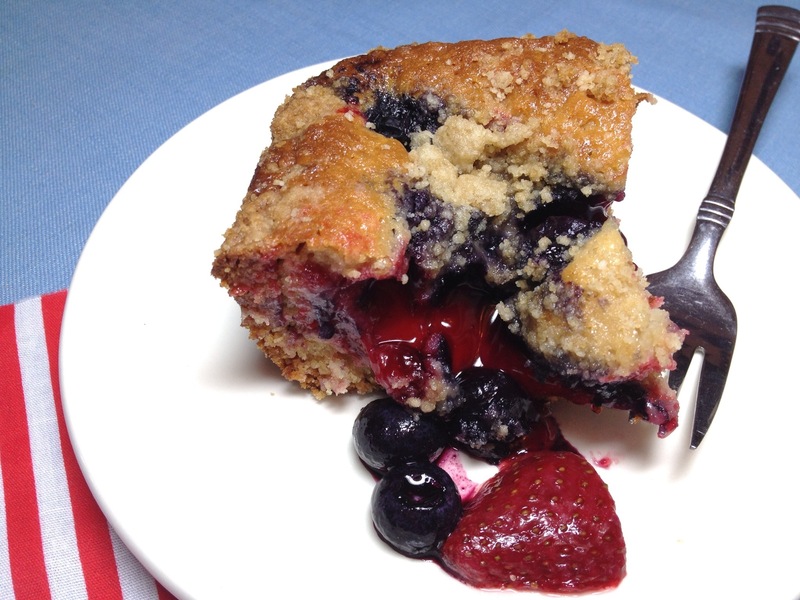 Combine all ingredients except for the pie filling and blueberries. Gently drizzle half of strawberry filling on each pan. Swirl into the cheesecake batter. Drop in blueberries. Friendship Bread Kitchen is in Saveur! I tried making this recipe and it turned out horrible. I’m wondering if it turned out bad because the recipe does not call for eggs. I tried this once and it didn’t work either. And it was A LOT of work! 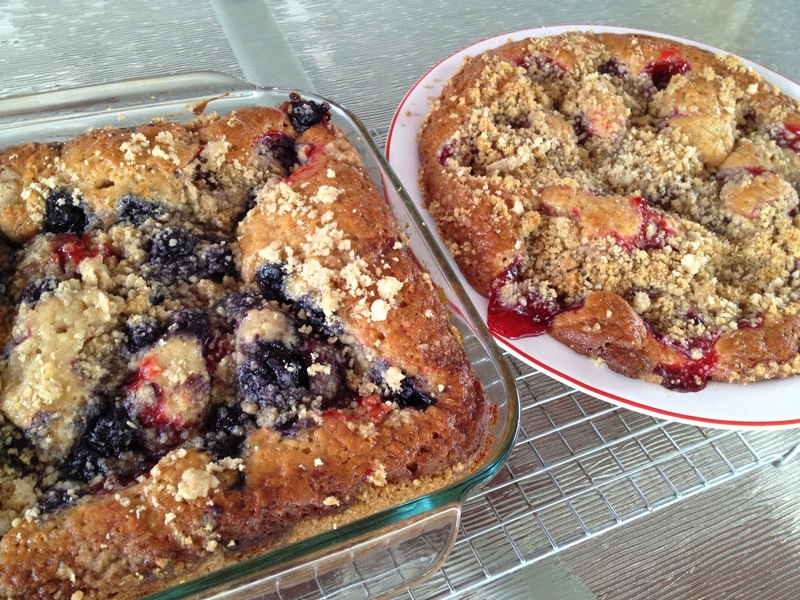 It was soggy and gummy in the middle and fell to an inch thick while it cooled. It didn’t matter how long I baked it, the center never set. I have never had that problem with any other recipe before. Also, living in Canada, there is no such thing as cheesecake pudding mix. So I used Jello instant cheesecake ( but didn’t use the graham crumb part). I decided that if I were to do this again, maybe I would add some eggs, as you said, but also I would make them like a Black-Bottom Cupcake – you make a Cream cheese – egg – sugar mixture and drop that in to the batter before baking. It sinks a bit, but it is so amazingly delicious! Looking at this recipe, I think the submitter meant to substitute the applesauce for the oil and maybe just omitted the eggs from the ingredient list by mistake. This look like a standard recipe with the addition of applesauce in the usual spot for eggs. I may try this today. I am going to have to try this as the combination of cheesecake and friendship bread sound inviting. Now ideas are filling my head and I may have to try it a few other favorite flavors as well…I’ll be sure to let you know when I do ! IF you USE the starter, how much is left and what do you do to maintain it? I’ve noticed in several recipes recently that the box size of the instant puddings is not given & l don’t know whether to use the large or small boxes. How can I guess which size to use? Hi Trudy! Amish Friendship Bread recipes are very forgiving, and the original instructions said 1-2 boxes of instant pudding. So what is it .. 1? 2? Small? Large? 🙂 The good news is that it’s actually up to you! Pudding boosts moisture and flavor and some people don’t use it at all. We use 1 small box for our recipes. Hope this helps!